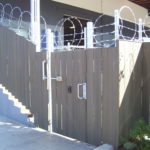 Commercial chain link fence with galvanized posts, barb wire, and razor wire. 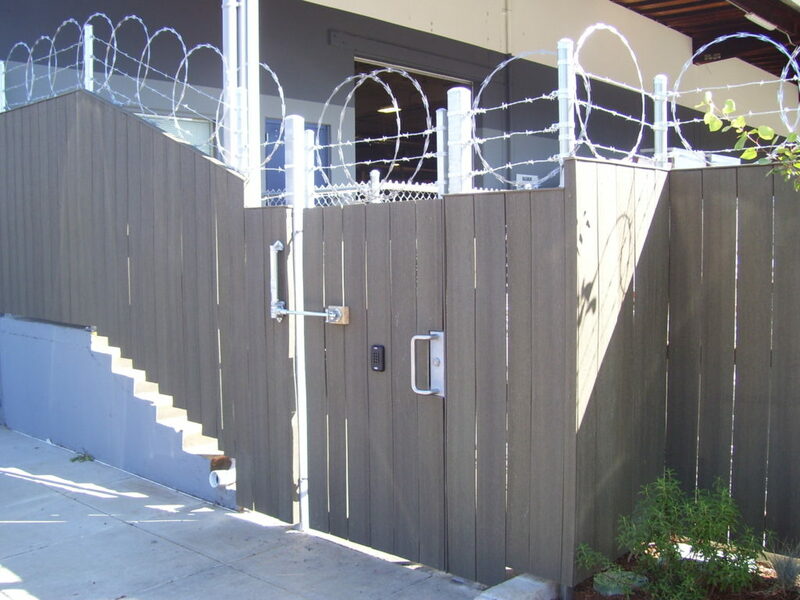 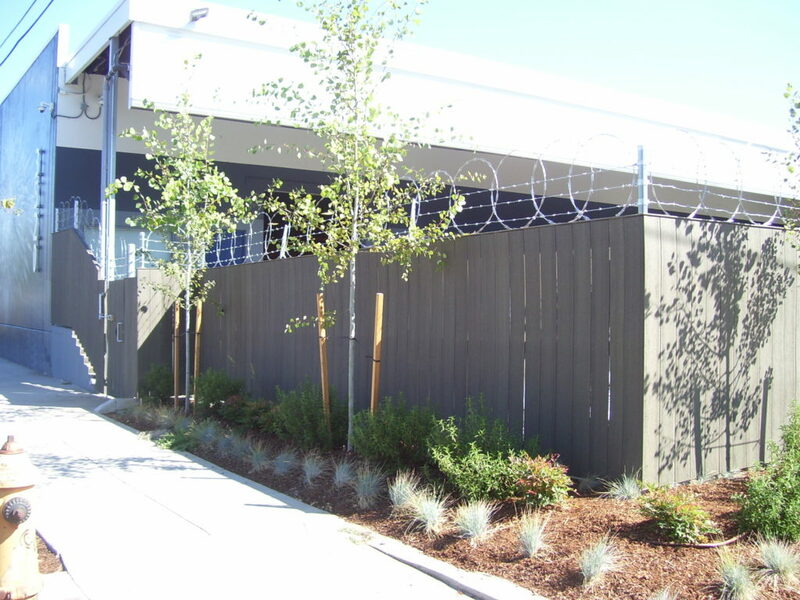 A specialty style fence combining the strength and security of galvanized posts, barb wire, and razor wire with the vision screen and durability of composite wood cover. 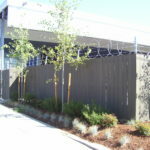 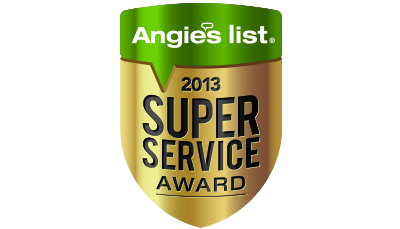 This project, completed in Portland, is designed for both security and landscape appearance.